For additional background information about Vancouver Lake and the Partnership, please see the main page at www.vancouverlakepartnership.org or the Maps and Materials page for reports. The Steering Group typically meets at Port of Vancouver Administrative Offices, 3103 NW Lower River Road, Vancouver. Steering Group and Partnership Meeting Summaries: Summaries of the Steering Group and Partnership meetings are posted below after they've been received as draft and later when approved. Note: To view presentations and/or reports from past Partnership meetings, please visit Maps & Materials. Wish to attend our meetings? 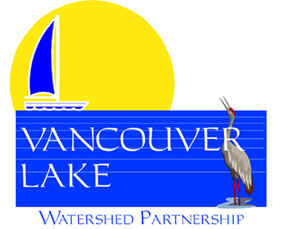 Vancouver Lake Watershed Partnership meetings are open to the public to attend. Due to limited available meeting time for public comment, written input is preferred. Written comments may be submitted at the meeting or sent by e-mail to the Partnership and public information staff. Please check our Partnership member websites on the Links page for ways you can get involved in helping to improve watersheds in our area. March 07, 2007, Steering Group meeting summary. Jan. 03, 2007, Steering Group meeting summary. December 20, 2006 Steering Group meeting summary. November 01, 2006, Steering Group meeting summary. September 06, 2006, Steering Group meeting summary. August 16, 2006, Steering Group meeting summary. July 19, 2006, Steering Group meeting summary. May 17, 2006, Steering Group meeting summary. April 05, 2006, Steering Group meeting summary. Note: Please see Maps & Materials for additional Technical Group information. Updated Oct. 19, 2007 - See description, below.